My Dad is a World War II war hero. He did this from behind a desk in Chicago, Ill. He didn’t see the front line; he saw the aftermath from the front line as an intake worker for the U.S. Navy Psychiatrist. There was a knock on the door. Dad lived in an apartment above the family grocery store in Quebec City. Military Police were looking for a U.S. draft dodger. My grandmother and Dad were shocked! Grandma had forgotten to change Dad’s citizenship from U.S. to Canadian when she moved from Holyoke, Mass., to Quebec City when he was five year old. They were totally unaware that his name came up in the U.S. military draft. Next morning, Dad reported in and was shipped to Chicago naval base. After being escorted across the border, he showed up for duty. One morning at roll call, an officer asked if anyone could type. Dad stepped forward and was whisked away from the training ground. He was diverted from an assignment as an anti-aircraft gunner to the office of the Navy psychiatrist. Dad worked there for two years until the end of the war. Some would say he had it pretty good; he was away from the action. He didn’t face the German air force and navy combats. However, he did have to face what came back. He was an intake worker for the wounded sailors that made it back from combat zones. His job was to talk with the patients and record their stories. He documented hundreds of recollections of when they were wounded, dismembered, and shell shocked. The psychiatrist told him to take his time and listen and write up their accounts. It was background information so he could treat them. Most days Dad would interview one or two sailors. Patiently, he’d prod for more details, consoling them and listening to them mumble – their thoughts disjointed and their bodies in pain. He was also tasked with writing letters to their families. Sometimes it was as an official communication from the Navy. 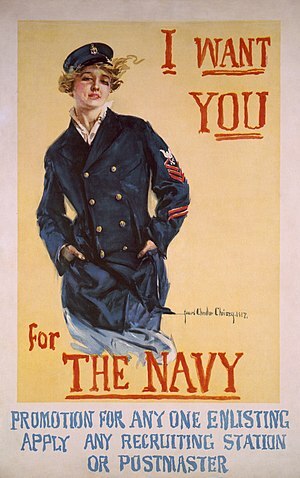 Sometimes the letter was dictated by the sailor to his loved ones. Dad found those the toughest. Every day he faced going to the hospital ward and listening to the sailors’ suffering. He admits that there were days he had difficulty sleeping from the horrors he heard. He took the occasional sleeping pill. Today we know that Post-Traumatic Stress Disorder can be acquired this way. I think Dad did. The sailors that came back were war heroes because they faced the enemy. Their lives were changed forever because of their injuries. Dad listened to hundreds of stories from veterans of this war. His gaze always goes far away when we talk about it. He felels he just did his duty as did so many others. Untrained and unprepared, he faced the horrors of war from a different front. On this Remembrance/Verterans Day, let us remember and pay tribute to all those who contributed to the war effort, whether they were on the front lines or not. My Dad is a war hero. He served from a desk. Next What to do with left-over Thanksgiving squash.